Atari has been in trouble for a long time now. It was acquired by French company Infogrames (of which Mr. Harrison became president) and underwent serious changes last year. As a result Infogrames announced annual net loss of €226.1M ($319.5M) for 2008/2009 mostly due to restructuring charges. Phil Harrison announced that he would step aside after a year as president to be non-executive Director of the Group. He will continue to help with the company’s strategy. Despite this their revenues have gone to €136.4M ($192.4M), up from €90.3M ($127.4M) last year. Infogrames also announced that it would take the Atari name and move basis of operations to the U.S.
As far as games go they said that they canceled several games but did not give details as to which ones. These are definitely tough times for the old firm but let’s hope they are able to weather the storm and become stronger in the process. Apparently a French owned company. 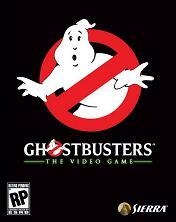 Infogrames subsidiary Atari has confirmed that they have secured the Ghostbusters video game which was given a vague release date of 2009. The rumor started after Dan Aykroyd told a radio that Atari was about to sign for publishing rights. In the wake of the Activision-Blizzard merger several games are left homeless and it seems that Atari is picking up the best choices (Chronicles of Riddick: Assault on Dark Athena)…at least the ones I’m most excited about, as opposed to THQ who picked up the next 50 Cent game.